Bare Bones Software on Thursday released TextWrangler 4.5, a significant update to the company’s free text editor. The improvements in the new version of TextWrangler, which include Retina display support, cosmetic refinements, and better feature organization, mirror similar upates to BBEdit 10.5, released back in December of last year. TextWrangler offers much of BBEdit’s functionality, and shares the same core codebase, the company’s Rich Siegel told Macworld. “We put all of our efforts into BBEdit first, since those are paying customers who support us,” but the company always planned to bring those improvements to TextWrangler as well. Among the cosmectic improvements now included in TextWrangler—besides the Retina display support—are a slimmer toolbar and an overhauled sidebar whose aesthetics are more in keeping with the rest of Mountain Lion. And, as in BBEdit 10.5, TextWrangler introduces a new Go menu, with underappreciated but powerful commands making the leap from the formerly overburdened Search menu to the new one. Now, features like Jump Points (for quickly returning to sections of a document you’ve navigated away from) and instant function navigation are “generally more accessible,” Siegel says, since they’re no longer buried deep in a crowded menu. 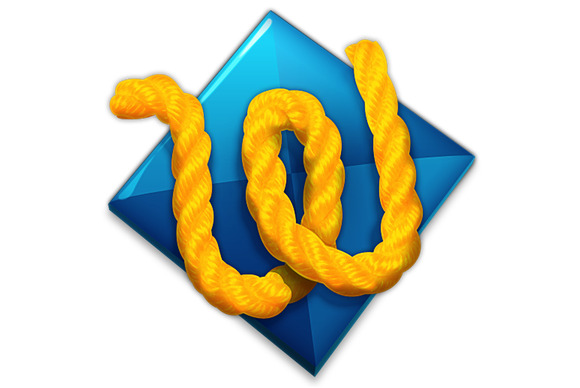 Also new in TextWrangler 4.5 is the integration of Bare Bones’s implementation of the Versions functionality Apple first introduced in OS X 10.7 Lion. 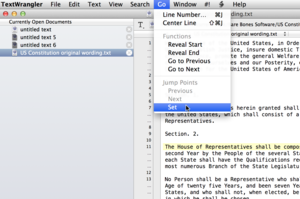 Every time you save a document in TextWrangler, it creates a new version marker behind the scenes. You can look back at previous saved versions of a document and compare them to the current iteration—and it works automatically. Though TextWrangler uses OS X’s Versions functionality behind the scenes, it offers its own interface to access the feature. For Windows refugees, TextWrangler adds options to customize the behavior of keys like Home and End, which Macs tend to use for document navigation, and PCs instead use for moving the cursor to either side of a line of text. For the first time, TextWrangler’s minimum operating system is OS X 10.6.8, though some functionality—including the Versions integration—requires 10.7 or later. Though Bare Bones can’t break out how many TextWrangler users eventually become tempted and upgrade to the paid BBEdit instead, the company does know that the free app is hugely popular: Siegel says that TextWranger has acheived nearly 900,000 Mac App Store downloads, and well over a million copies downloaded total. And he pointed to BBEdit features like its HTML markup tools (with its Live Previews and Markdown support), Project options, Site Deployment features, and the included Consolas font as reasons users choose to make the leap from the free to the paid version. 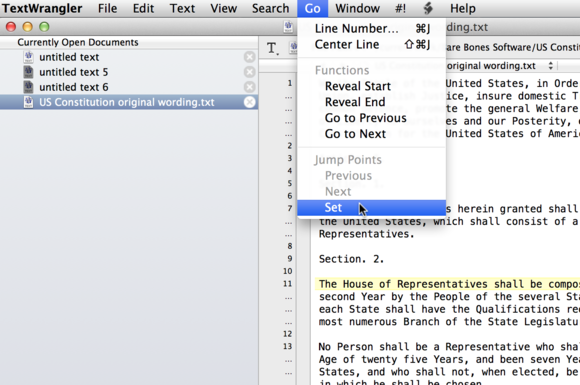 TextWrangler 4.5 is available from the Bare Bones website and the Mac App Store.